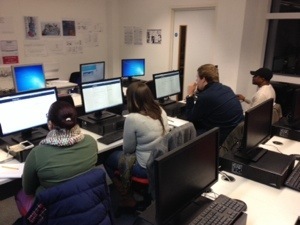 Tonight, I’ll be running a new course at South Essex College. This course had been on the books for a couple of years now, originally under the title “Blogging for Business”, but now it’s known as “Blogging with WordPress”. Much of the prep for the course was completed some time ago, including the Course Proposal, Scheme of Work and Course Notes. I also supplement this is handouts, pages on one of my sites and some dummy training content. Over the last couple of days, I’ve been testing, re-writing and printing, to make sure everything is still current and correct. The bag is packed, and I’m ready to go (guess the song title, anyone? )… Hopefully my students will be forgiving, given that they are my guinea pigs. If I’n feeling brave, I may demo some live blogging on this page, which is of course, Powered By WordPress. if you could please hum the tune to the song i may be able to guess. is it ‘leaving on a jet plane’ ? !